Our Next F1 Bernedoodle litter will be mid summer 2019. To reserve a spot there is a $300 deposit required. 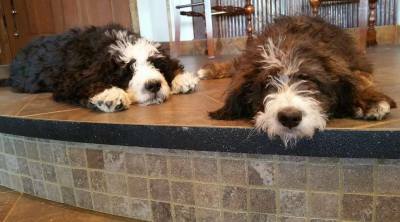 The F1B Bernedoodle litter will be late Summer and we are taking $300 deposits. The Fall Bernese Mountain dog litter is now closed as all the slots are filled. Our next Bernese Mountain dog litter that is available is the Spring off 2020. 1-406-832-3453 or text message to 1-406-491-2725. Thanks to all our wonderful puppy parents! We look forward to helping our new families find just the right new family member! To make a deposit click on the add to cart button and it will direct you to Paypal. You can either use your paypal account or pay with a credit card. All deposits are $300 with the balance due when the pup goes home. We reserve the right to first selection on all litters. There is private treaty pricing on the reservation for Breeders choice of litter if available. The pricing for Bernese Mountain Dogs is $2000 for pet price. 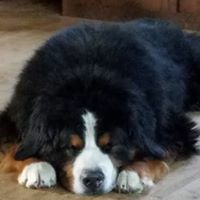 We do not sell breeding rights on the Bernese Mountain Dogs or Bernedoodles. I do not fly my pups alone. I will meet puppy parents at in state airports so that they can fly their pups home in the cabin or I can bring them to you. I also will drive to meet folks. There is a delivery charge of $150 for under 300 miles and $300 for over 300 miles. I typically make a trip to the Oregon/Washington coast as well as a trip to Idaho Falls and Billings for each litter! Arrangements can be made for me to fly your pup to destination. Please contact me directly for this service. The contract for the pups is above. It answers questions on health guarantee as well as spay/neuter requirements. All of our pups are raised in our home. We do not have others raise our dogs, all dogs live with us as family members. We feel very fortunate to have them as part of our lives! 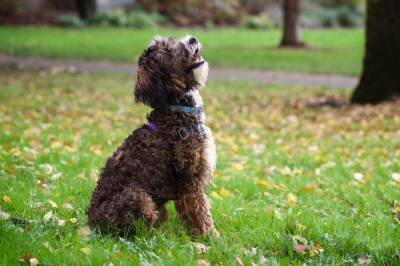 There is more information and pictures on the Our Dogs page. We were also recently published in David Anderson's "The complete guide to Bernedoodles" available on Amazon. It is a good general guide to get to know the breed!